The rapper released his latest album, “Kamikaze,” on Thursday, with the album art showing the rear end of a fighter plane with the tail marker “FU-2,” the new release has 13 tracks. 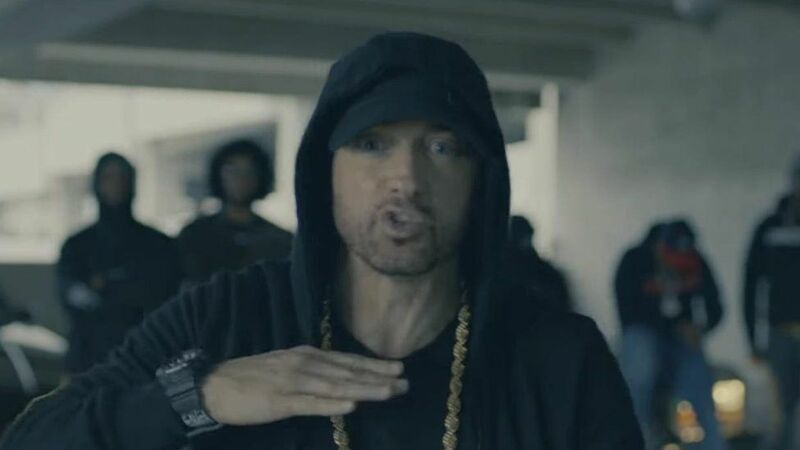 Joyner Lucas, Eminem’s manager Paul Rosenberg, Royce Da 5’9″, and Jessie Reyez feature on the album. It also includes Eminem’s track for the upcoming “Venom,” starring Tom Hardy and Riz Ahmed. It’s produced by Eminem and Dr. Dre.